The Guadagni private art gallery was the largest and most beautiful private art gallery in Florence until the end of the 19th century. 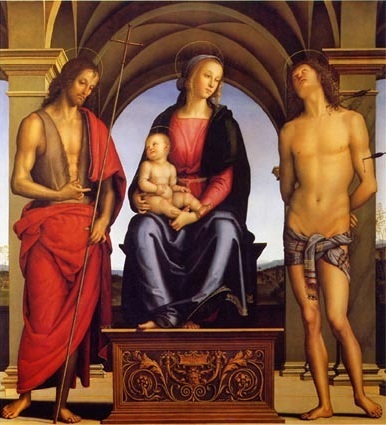 This is an example of what the Guadagni owned: Madonna enthroned with Child Jesus between Saint John the Baptist and Saint Sebastian, by the famous artist of the Renaissance Perugino (1450-1523). As a young art student, Perugino studied together with Leonardo da Vinci. Later on he was a teacher of Raphael. Among his many masterpieces, he also painted part of the Sistine Chapel in Rome. The Venetian noblewoman Cornelia, widow of Giovanni Martini and daughter of Roberto Salviati, commissioned this painting to Perugino in 1493 for the chapel she had built for her in the Church of San Domenico, in Fiesole. In 1645 the Martini Family was extinct and the patronage of the Chapel was inherited by the Family of the Marchesi Guadagni. 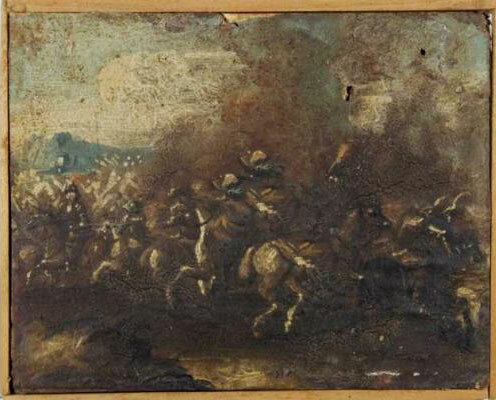 In 1786, during the reorganization of the Uffizi Gallery, which is the famous Art Museum of the City of Florence, the Grand-Duke of Tuscany Pietro Leopoldo, who wanted that beautiful painting to be part of the Uffizi Gallery, forced the Dominican Friars of the Church and the patron of the chapel, marchese Donato Guadagni (great-grandfather of our great-grandfather Guadagno Guadagni, who bought La Traversa, was a page at the Queen of Bavaria, had eight children among whom your grandfather Luigi and my grandfather Bernardo, etc) to give him the Perugino painting. The Dominican Friars were paid 1,000 golden coins for it, while Donato Guadagni was allowed to choose another painting from the Uffizi Gallery to replace it. 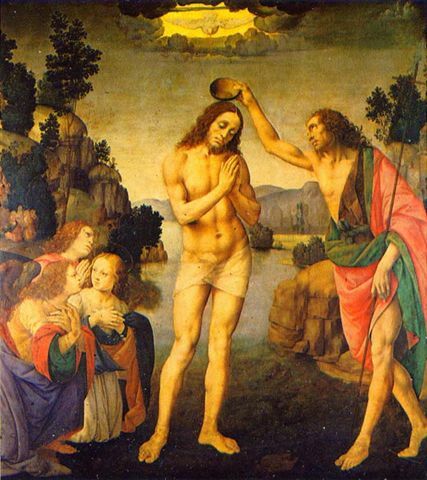 The marchese Guadagni picked “The Baptism of Jesus” by Lorenzo di Credi (1456-1537). Lorenzo di Credi is also a very famous artist. His masterpieces are exhibited in the Louvre Museum in Paris, the Metropolitan Museum in New York, the National Art Gallery of Washington, D.C., and among others the Museum of Berlin, Dresden, Amsterdam, London, Rome and Turin. If you are interested you can find a lot of documentation on both Perugino and Di Credi on Internet, and on the authors of all of the art works of the Guadagni Art Gallery, that I am going to list in the future. You can view Di Credi’s painting belowl. It was of the same height as Perugino’s but wider. So to fit it in the 17th century frame of Perugino’s, they cut off part of both sides of Di Credi’s painting. If you look at it carefully you notice that part of the right heel and coat of St. John the Baptist are missing on the right side of the painting, and part of the drapery and the angel’s wing are missing on the left. I am going to open a new file in the Guadagni Family Website, called “The Guadagni Art Collection”, which included masterpieces of the best and most famous artists of all times, as we have just seen above. 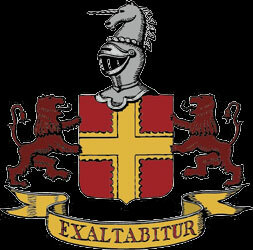 I will search for them and insert their reproduction with a little bit of history on each one of them if needed. Part of the Guadagni art collection was inherited by the Dufour Berte, who also inherited the Guadagni Palace of Piazza Santo Spirito, when Ottavia Guadagni, the last of her branch, married a Dufour Berte in the 19th century. When I was a kid I still remember seeing a painting of Jordaens, a famous Dutch painter of the 17th century, hanging on a wall in Masseto. I will list the paintings and artworks of the Guadagni Art Gallery itself, which used to be situated in the Guadagni Palace of Piazza Santo Spirito and any and all other art works either owned or commissioned by the Guadagni in churches, chapels or anywhere else. The above painting is: "The Doubting of Saint Thomas" by Francesco Salviati. It was commissioned by Tommaso Guadagni II of Lyon (1582-1652). He placed it in the noble chapel he built for his family in the church of Our Lady of Comfort in Lyon. The chapel was called the "Chapel of the Guadagni Counts" and was considered an architectural masterpiece in itself. Its ceiling was dome-like, sustained by four arches. Six large columns and a grey marble decorated it. Under the dome, the funerary monument was situated. It represented Tommaso Guadagni and his wife, Peronette Buatier, kneeling. The author of the painting, Francesco Salviati, born in Florence in 1510, died in Florence in 1563, specialized in elaborate paintings that were typically Mannerist in their depiction of closely packed figures in spirited but physically impossible poses. This style earned him great fame even in France, where he worked for a year. His portraits remain notable for their direct characterization of the sitter and richness of color. The above painting is one of his most famous and is now in the Louvre Museum of Paris, France. My son Billy saw it. 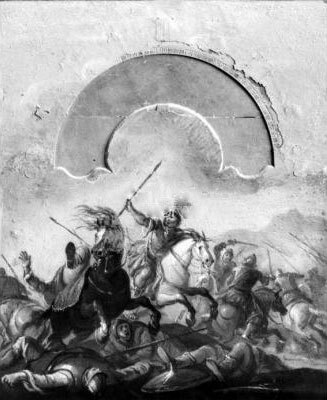 Underneath it is written: "From the Guadagni Chapel of Lyon". Salviati's masterpieces are exhibited in many museums all around the world, among which:" The Cleveland Museum of Art, the Getty Museum, the Louvre, the New York Metropolitan Museum of Art, the National Gallery of Art in Washington, D.C., the Honolulu Academy of Arts, the Royal Museums of Fine Arts of Belgium, the Saint Louis Museum, the Pinacoteca di Brera of Milano, Italy, etc. I am continuing with the reconstruction of the famous “Guadagni Art Collection”. Being an artist myself, I love doing this research. 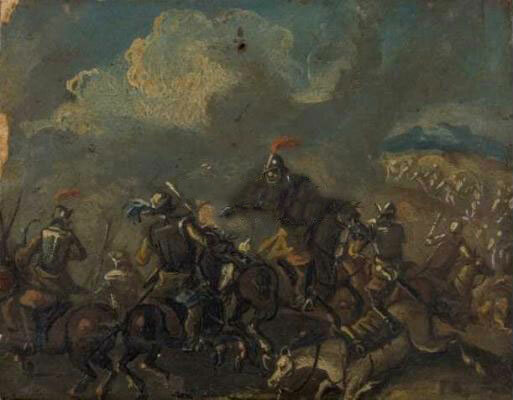 Francesco Guadagni (1627-1696), son of Tommaso and second Marquis of San Leolino, was a great friend and patron of artists, like many Guadagni were. He was always surrounded by many of them. He became a great friend of the painter Salvator Rosa. Salvator Rosa (1615-1673) was a Neapolitan Baroque painter, poet and printmaker, active in Naples, Rome and Florence. He is remembered for his wildly romantic or “sublime” landscapes, marine paintings and battle pictures. He had a great influence on artists that came after him and his artworks are exhibited in important museums all over the world. As a painter, he is best known as an “unorthodox and extravagant” and a “perpetual rebel” proto-Romantic. He gave Francesco Guadagni two great landscapes, which are among his best masterpieces: St. John the Baptist preaching, and the Baptism in the Jordan River. The historian Passerini also states that Rosa painted six other paintings for Francesco. “Even though they are smaller than the first two mentioned, they are not inferior in beauty and talent, and are done with great love,” he says. However, Passerini does not recall the names of those paintings. While studying all of Salvator’s art production, I noticed that the Uffizi Gallery in Florence has six small paintings of the artist, exactly the number of the ones he did for Francesco. They could be the ones Passerini talks about. Also because they are defined as “miniatures” in the Encyclopedia and Passerini specifies them as “being smaller”. 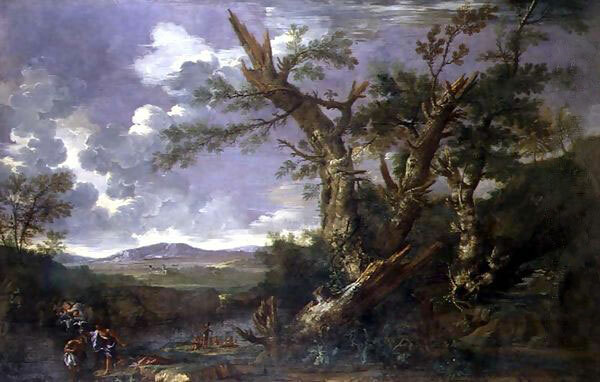 Landscape with the Baptism in the Jordan. Notice the great innovation of the landscape becoming the main theme of the painting while the people are painted very small in a corner of the picture. During the preceding Renaissance Period instead, the people were always the main topic of the painting with the landscape being just decorative around them or in the background. 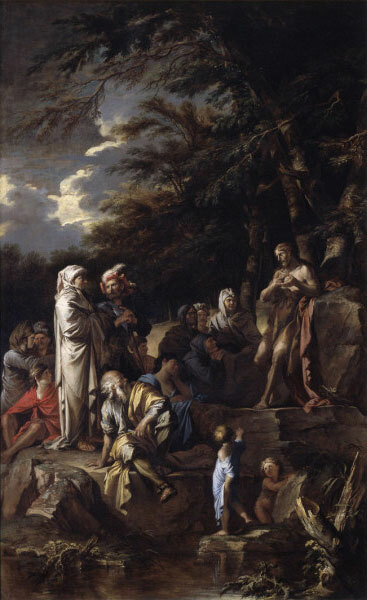 St John the Baptist preaching in the wilderness. In this painting as in the Baptism one the landscapes are dark, stormy, dramatic, in stark contrast with the idyllic, sunny, calm landscapes of the Renaissance Period. 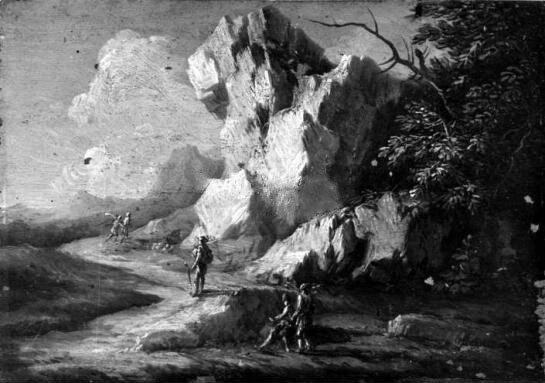 Landscape with figures - miniature. 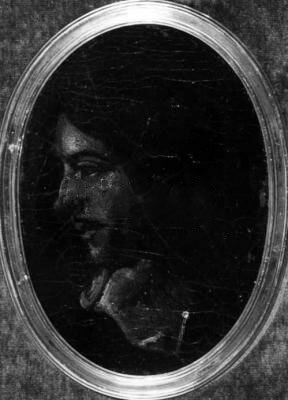 Portrait of a man - miniature. 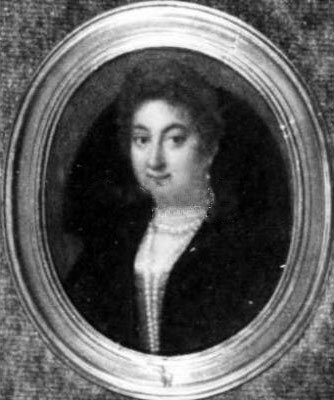 Portrait of a woman - miniature.